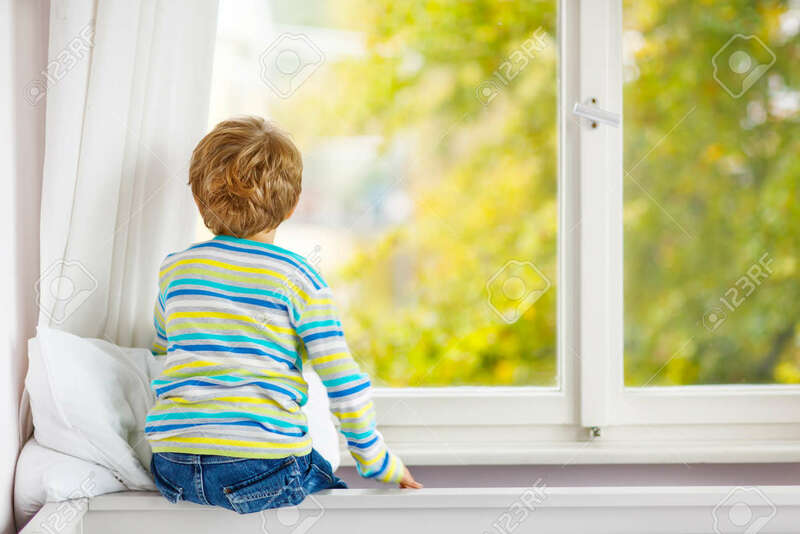 Adorable Little Blond Kid Boy Sitting Near Window And Looking On Raindrops And Autumn Yellow Landscape And Trees, Indoors. Happy Funny Child In Colorful Clothes. Royalty Free Fotografie A Reklamní Fotografie. Image 64891293.